Posted on July 2, 2015 July 4, 2015 by Angela G.
Konnichiwa! The boy and I are in the land of the rising sun and we’re loving the balmy heat of summer and the re-immersion into our much-loved second home (or third – I guess Singapore can be considered our second). This must be James’ fifth time holidaying in Japan (third for me) and I think we’re now very well acquainted with Tokyo. This time we’re staying in the Asakusa area, which is a change from our usual base in Shibuya. Tokyo’s all very well and good, but I am most looking forward to our stay in Shirakawa-go (an incredible historic village) and Fujikawaguchiko (where we’ll get a perfect view of that famous active stratovolcano, Mount Fuji). Gonna have a field day with my camera for suuuure. Just hope the weather will be good. It’s the rainy season, apparently. Anyway, what’s this? 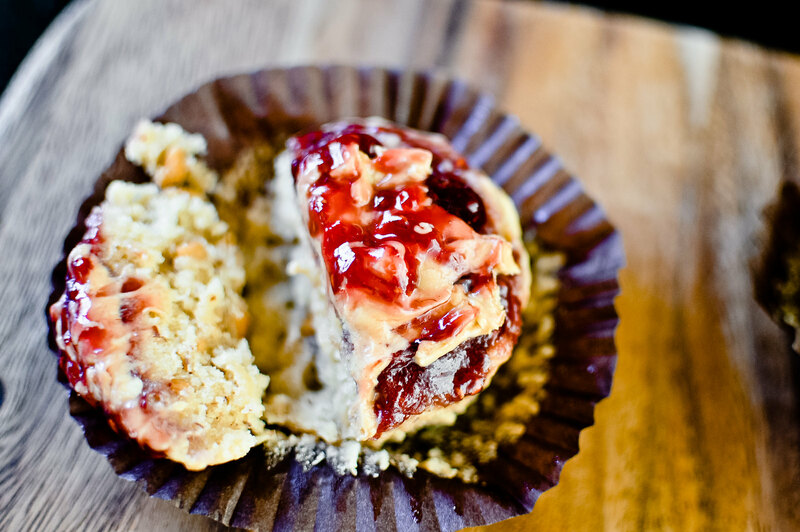 PB&J muffins?! Yup, that’s right! I baked a small batch of these the day before leaving for Japan and they were all gone in less than 24 hours! 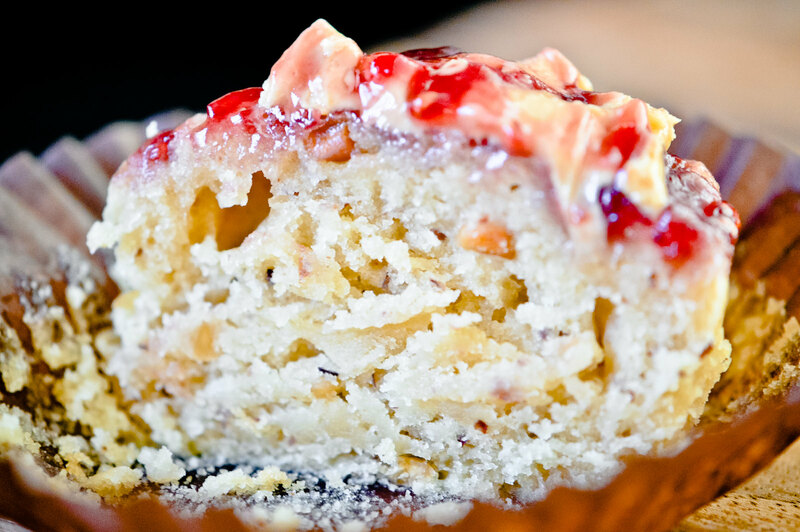 I brought together ooey-gooey peanut butter and tangy berry jam and created what I believe is the perfect muffin recipe. Super tender and moist, with a well-risen crumb that is still airy and fluffy enough that it doesn’t lean towards being dense and “heavy”. 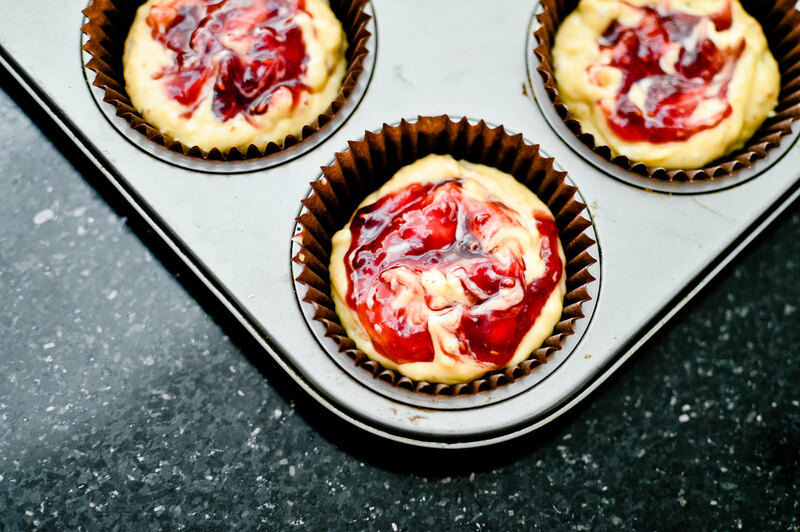 A dollop of jam is swirled into the batter before baking and this makes all the difference in the world! 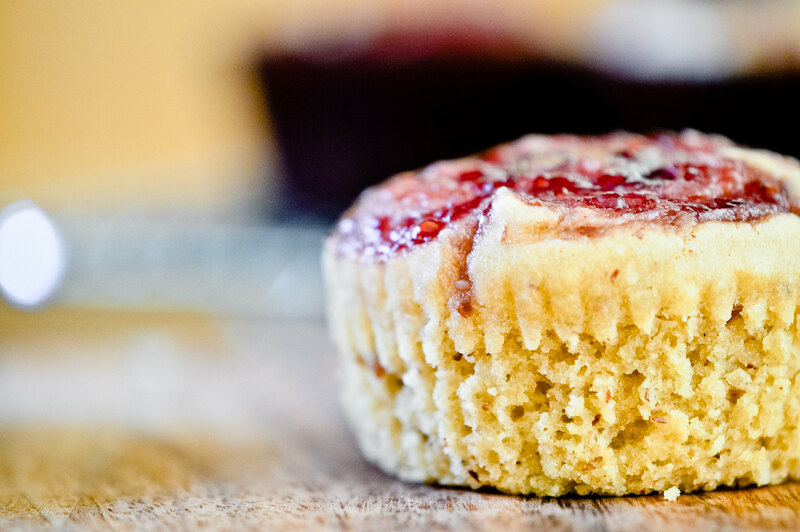 The muffins are completely vegan-friendly and naturally sweetened with the goodness of maple syrup (you can use agave nectar, or honey if you aren’t vegan). And they are excellent slathered in more jam and peanut butter when they’re still hot and fresh out of the oven. a vegan recipe; makes about 6 regular muffins. Preheat oven to 180°C degrees and line a muffin tray with paper cups. In a small bowl, combine the flour, almond meal, baking powder, and salt. Mix well, set aside. In a larger bowl, mix the peanut butter and oil together, then add the maple syrup and milk and mix thoroughly. Add the dry ingredients to the wet ingredients and gently combine without over mixing (some small lumps of flour in the batter is fine). 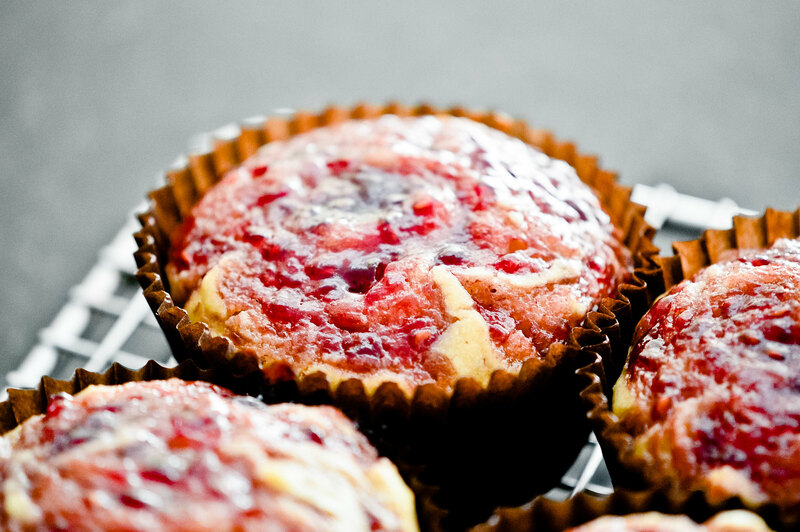 Spoon even amounts of batter into each muffin cup (about 3/4 full) and top with a small dollop of jam (about 1/2 teaspoon). 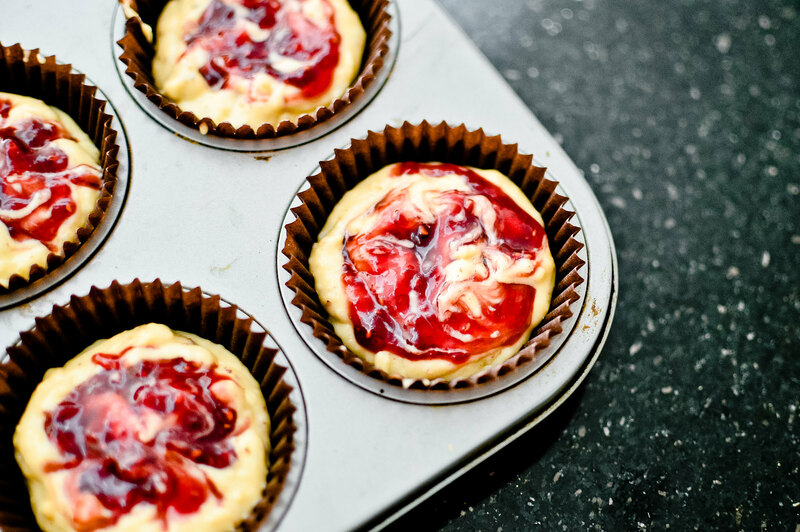 Carefully swirl the jam around with a toothpick. 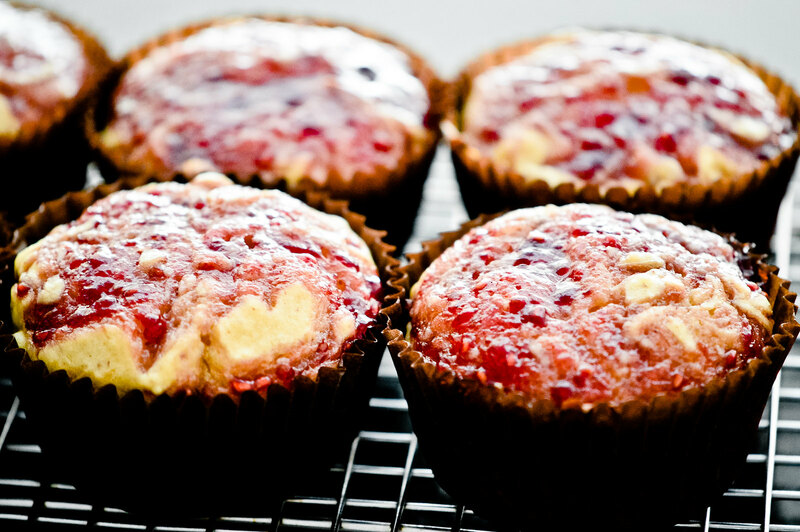 Bake muffins for about 15 minutes or until a toothpick inserted into the middle comes out clean. 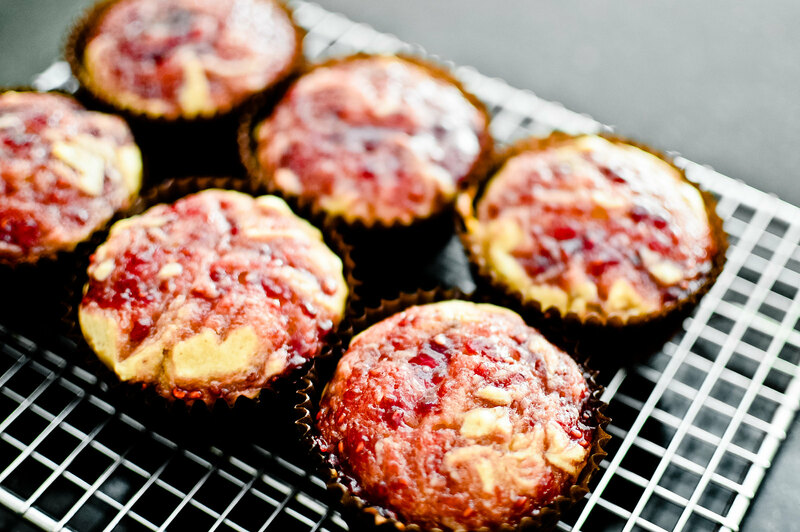 Serve warm with a generous dollop of peanut butter and jam over the tops. Yummy! Thanks for sharing and have fun! Would love to see your photos of shirakawago as always wanted to go in winter. As for kawaguchiko, you’ll love it! It’s such a peaceful little town, so quaint and interesting walking along the small roads to lavender gardens, glass beads shop, cute cafes and the kachi kachi ropeway. Great photo points for Fujisan outside kozantei ubuya and on top of the ropeway! I got so excited when I read the title before I remembered Americans call jam jelly. These still look amazing though and easy to make :). This looks so good! And your photography is wonderful. Angie, I want to eat this right out of the photograph! Hi Angie, I have nominated you for ‘Post a Quote Challenge’..it’s a fun challenge and I look forward to wonderful lines from you..do let me know? Reblogged this on ~Plushie Baker~. These looks and sound amazing, Angie! Thanks for sharing!